The hammer fell and the crowd in the auction house erupted into applause and cheers. A bow by FX Tourte had just broken all world records and sold for €465,000, or €576,600 including auction fees – or 685,995 US dollars. The previous record for another Tourte bow, at an auction at Beares in London in 2015, was 288,960 USD. However a sense of unease came over me and I couldn’t help feeling that the professional dealers from all over the world that day at Vichy Enchères were busy celebrating their own imminent demise, clapping their way to obsolescence. I had traveled from Chicago to Vichy France to attend three days of auctions in an attempt to buy some bows and violins to sell at my shop. I’d attended many different auctions here in the States and in other countries, but this was my first time to the largest auction of stringed instruments in France. Of course in previous years I had looked at the lots made available online and checked the published results, but one can learn so much more with an in-person visit. The auction was professionally run and the people who work there were very helpful and friendly. I also have to say that the bows and instruments offered were of incredible quality compared to other auctions I’ve attended. I found the listings, especially for the bows, to be extremely detailed and the descriptions of damage or alterations incredibly accurate. The actual proceeding at the auctions was smooth and efficient. Over the three days of auctions, the highlight being the sale of the Bernard Millant collection where a gold and tortoiseshell Sartory Exposition violin bow sold for a world record price of $223,000, I was continually taken aback by what could be called the irrational enthusiasm of the buyers. It is unclear how exactly the very high wholesale prices realized at Vichy will affect the market except to say that we will definitely be seeing a surge in the cost of French bows of every level in retail violin shops around the world. Along with greater valuation there will be undoubtedly an increase in price gouging, over attribution as well as outright fraud. An interesting trend was the pricing on nickel mounted maker branded, shop branded and unbranded French bows. It it important to reemphasize here that auctions are buyer beware environments, where the official auction descriptions are not to be taken as gospel, but simply as potential guides to authenticity. Here dealers seemed to buy with abandon, with an over reliance on the auction descriptions. This is not to say that Raffin and the others he works with at Vichy are not world renown experts on French violin bows, it is simply to point out that there is a profit motive at work and as with anything as valuable and esoteric as bows for stringed instruments, it always pays to err on the side of caution. There was a time when nickel mounted French bows were amazing deals as they were completely overlooked by experts and dealers alike. This is now officially over. Many examples sold at wholesale prices which eclipsed the retail prices of similar bows currently offered at my shop. After I returned I checked in with an acquaintance who works at the top of her field in the world of fine art insurance and appraisal. Her take was that there is currently so much money and demand in the primary art markets that collectors are now looking at secondary and tertiary markets for investment. With increasingly large pools of money in the possession of decreasing numbers of humans, this excess of capitol seeks outlets for speculation. What this trend of commodification means for pricing and the culture of the violin business is hard to predict with precision, but it doesn’t take a genius to see that the overall effect on working musicians, students and ultimately violin shop owners themselves won’t be wonderful. 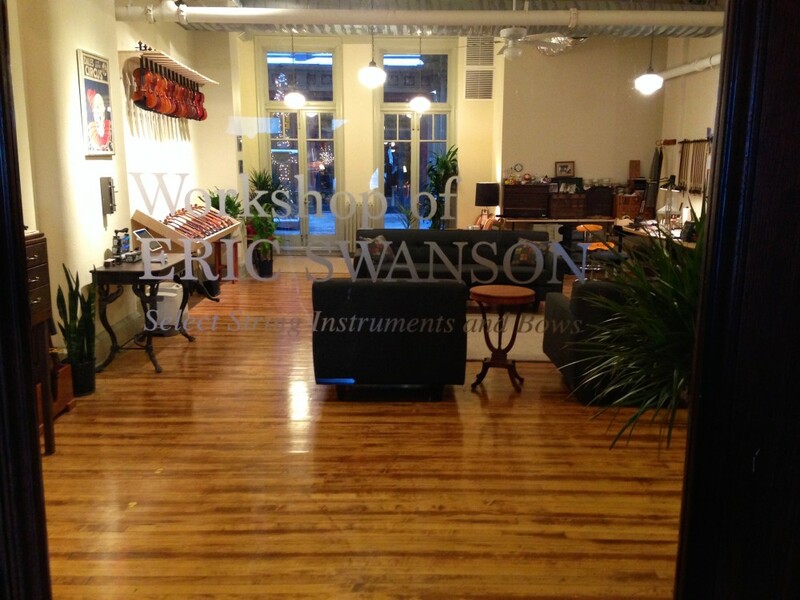 This entry was posted in Violin Biz by swansonbows. Bookmark the permalink.